My first blogging conference was Vida Vegan I, in the summer of 2011. Being its first year, it wasn’t as professional as it could be, and while OK overall, it had glitches. Still, it left me fired up and ready to take on blogging more seriously. I was in a weird time in my blogging. I was taking it more seriously but really didn’t know where I wanted to go with it. Being pregnant with my third child didn’t help it either. In 2012, with a relative newborn and a toddler to deal with, I passed on BlogHer Food ’12 in Seattle (ugh…cannot believe I passed it up). Then, I heard about IFBC the week before it was happening. I was “how did I not know about this?” So, when the tickets went on sale that month (literally exactly a year ago I bought mine! ), for 2013, I was one of the first to grab a ticket. I realized that blogging conferences are good for me. I meet so many new faces, catch up with others I know. And it puts me out of my comfort zone, something it is too easy to live in. Hard to believe it is just 10 days away! It seems so long ago I put my cash down. I went to Vida Vegan II this May, courtesy of So Delicious. I also was lucky enough to attend Disney Social Media Moms this summer as well. What I took away from both conferences was this: I was ready to take my blogging to a new level. Conferences suddenly meant more to me, that I shouldn’t pass up on chances, if they are easy to attend. Blogging isn’t something I am new to – I have been doing it since at least 2005, with my other site, TrailCooking. I had found that after the birth of my second son, and especially after son three…I was severely burnt out on writing about hiking. To the point I nearly quit blogging for it. It meant nothing to me. I needed the atmosphere that conferences, full of people like me, that just seeps energy. I walked away this year, feeling love again for BOTH of my blogs. I quit a freelance writing project I had done for years, but hated, turned down magazine articles that held nothing to me. I said to myself: If I am going to blog, it will be for ME first, and of things I enjoy. Suddenly, the past 4 months, I have found a joy again, in all my writing. But it also drove other things home for me: I need to step up my look. First, I had Kirk shoot head shots of me. Something I hadn’t done before. Then I made new business cards to reflect who I am, rather than just one of my blogs. Moo.com is wonderful to work with. Fantastic cards, they are simply gorgeous and worth the cost. Simple is my motto currently. The QR Codes? Love that! Moo makes them up for you, and you can put them on your cards. I have two, one for each blog. Then? I took Gazing In to self-hosted, something Kirk and I had talked about for years. It just seemed like too much to dwell on. Maybe it is Alistaire being 19 months old now, I have more energy. My days don’t flow into each other as bad as they did a year ago. Taking the blog to self-hosted wasn’t easy, but it was a great learning lesson. It even inspired me to change-up my other blog, TrailCooking, this week. I feel capable! When Kirk met me, back in the very early 2000’s I had found the internet via WebTV (yes, he ribs me all the time over it!) and I had zero skills related to computers. Heck, I did my TrailCooking blog overall without asking for help once. That put a big smile on my face! Never quit learning. Although I am sure being married to a geek who works in IT helps. But most of all, I realized that to be a better blogger I needed to get organized. Pieces of scratch paper and Notebook on my computer were not cutting it anymore. 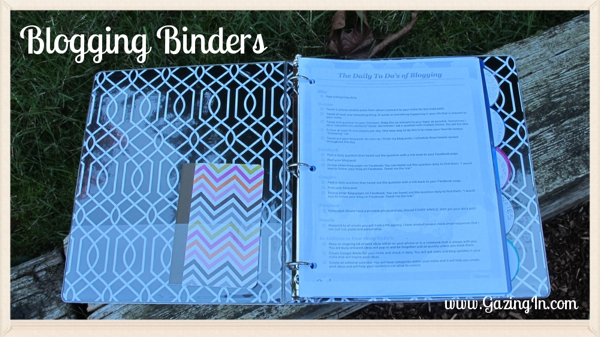 I got my inspiration from SitsGirls on making a Blogger Binder. Yes, an old-school binder with paper in it. And you know what? It works. Frankly, my note taking is horrid. My desk often has stacks of illegible ideas. Find yourself a cool looking binder that is your style,a package or two of clear divider pages, then print pages that match how you work. I printed in b&w and used the electric hole punch at our library. Being (lazy) smart, I did an entire year’s worth of printing, and then set up my sections. I know me, if I don’t do something all at once, I get distracted! Being even more old-school, I tucked in a small notebook. Don’t underestimate paper. I found at Vida Vegan II that I was scribbling notes on paper during sessions. Shorthand notes, that I later went through. Sure, laptops and iPads are great, but they can distract you. Honestly, I found I used my smartphone way more than my iPad, for Twitter and Facebook. Tuck in some pens and pencils as well. What you can’t see is the printout I have in the front: it is a simple daily blogging checklist. I read over it every day now, once in the morning, once in the evening. This keeps me focused! And a monthly planner. I get invited to Twitter parties often….and I forget about them! 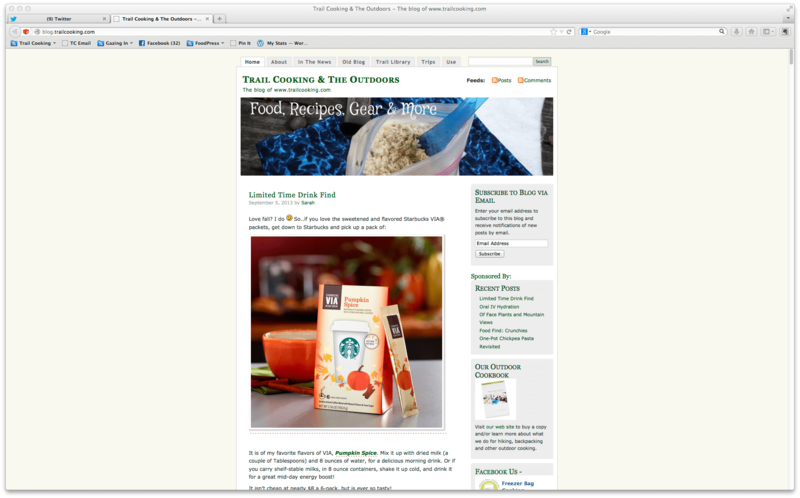 I also need to not mess up sponsored posts and blog tours, but as well? I need to know when I have personal things to do. Yes, my phone can remind me. But half the time I forget to put things into it! Jotting down a note takes a second. On paper. The key is using whatever works. For me, it is conferences, networking, learning…and going old-school! And I can’t wait to share with everyone how much I will learn! Never quit learning, never quit asking why you do what you do. And if you don’t feel happy….find a way to be again! Great post! I am totally making a blogging binder today, lol! Love it Sarah! I go though a lot of spiral notebooks but a binder would be helpful. I love new look of your site. I’m hoping to do some re-vamping next weekend of mine. One of these days we will have to meet up at a conference. I’ve never been to one but would like to go next year. 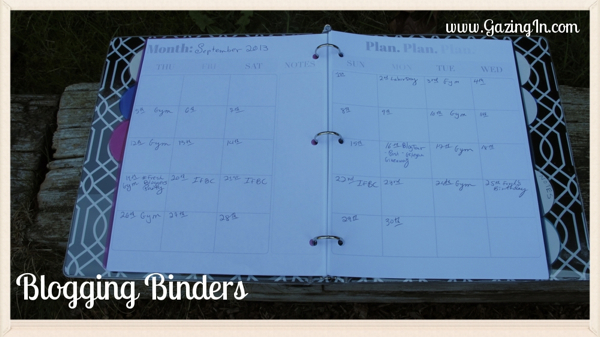 Holly, I honestly thought “No way” to the binder, but wow, it really works!! I really hope we can meet in person soon! I am looking for the best way to organize. I may do a combination of a binder and something else. 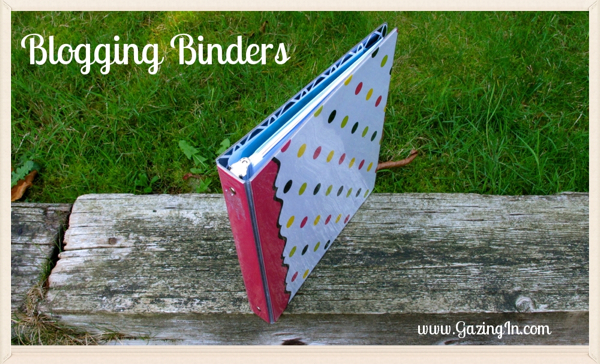 I like the idea of creating a binder and thus being able to put things in and take things out as needed.